Green Door Store: Thursday, August 8, 2013. For 40 minutes tonight The Wytches frontman Kristian Bell screamed, screeched and occasionally sang with scant regard for the long-term well-being of his vocal cords. He’s either a reckless hardnut or routinely fills up his rider with packets of Lockets and vats of honey to make amends. Whichever, it was a thrilling spectacle. With his bandmates providing an accompanying cacophony of dark, psychedelic slabs of rhythm to boot, it’s no shock that the Brighton-based, Peterborough-raised three-piece are enjoying a well-earned dose of media hype. As soon as the distorted bass of the opening instrumental morphed into an almighty wall of noise – with the three of them seemingly in worlds of their own, yet moving in perfect unison – it was blindingly obvious they weren’t as much up for this as already halfway there. For the remainder of the set, those crammed into the venue were subjected to a full frontal sonic attack. At times it was like the rabid offspring of Future of the Left letting loose in the midst of a particularly bad acid trip, at others their brooding hooks and masterful melodies – seemingly more prominent than at their much talked about Great Escape outings earlier in the year – scythed through your skull with unnerving precision. 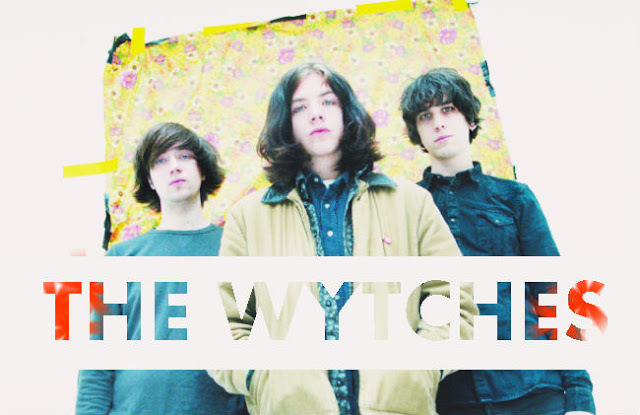 The Wytches really do concoct a potent brew. It’s surely only a matter of time before an even wider audience comes under their spell.